The one and only Austin City Limits Music Festival. The Austin City Limits Music Festival is one of Texas’ widest known arts festivals, taking place annually in October. This year’s second weekend, though wetter than the first, brought together a diverse and collective array of sounds that spanned genres, generations and cultures. This unique blend of gourmet food, art and music established a one-of-a-kind experience that appealed to people young and old. The event unified generations in celebration of music. 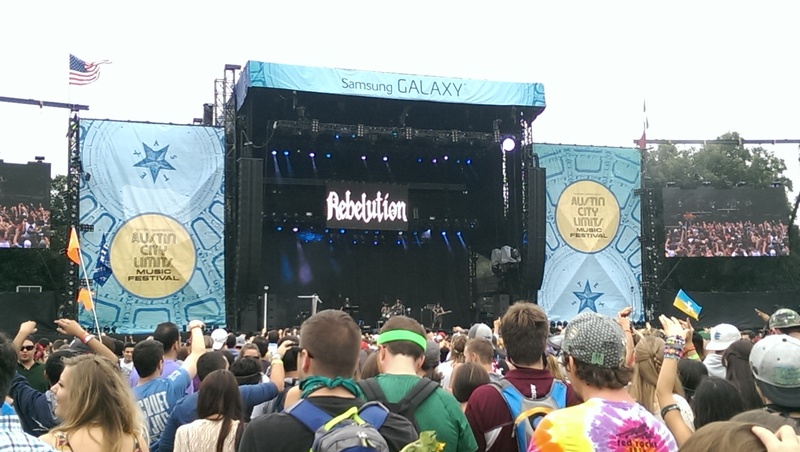 Rebelution draws in a crowd at the Samsung Galaxy Stage during ACL’s second weekend. 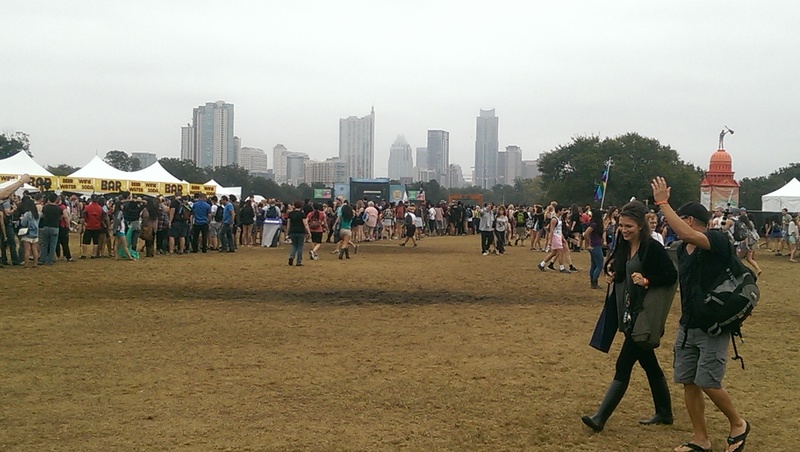 Festivalgoers re-gathered in Austin’s Zilker Park for ACL’s second weekend. The grounds were muddy because of the heavy rain that fell during the early morning hours and caused a delay. But that didn’t stop the music from drawing thousands to what possibly could be considered one of the most highly anticipated fall festivals in the South. Tanner Howell, Texas State business sophomore, was among the masses. Howell described the festival as “adventurous.” This was his fourth year attending ACL with his father and brother. Apart from the music, the ACL Arts Market engaged attendees with access to commemorative festival attire and mementos. 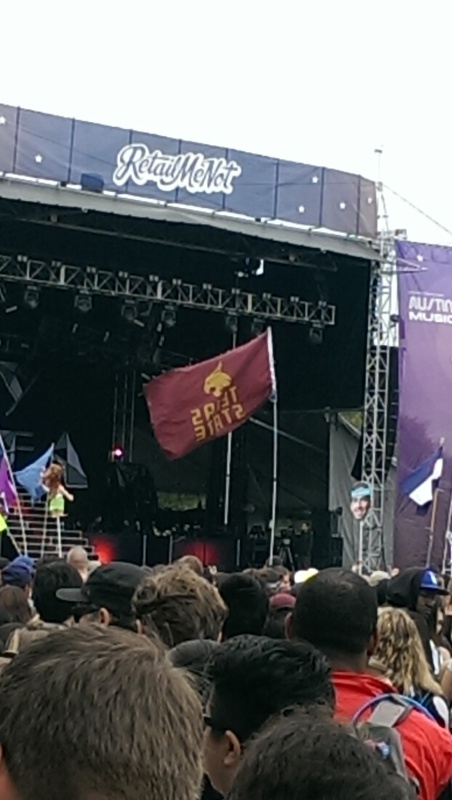 The Texas State banner flies high before the mighty RetailMeNot Stage. 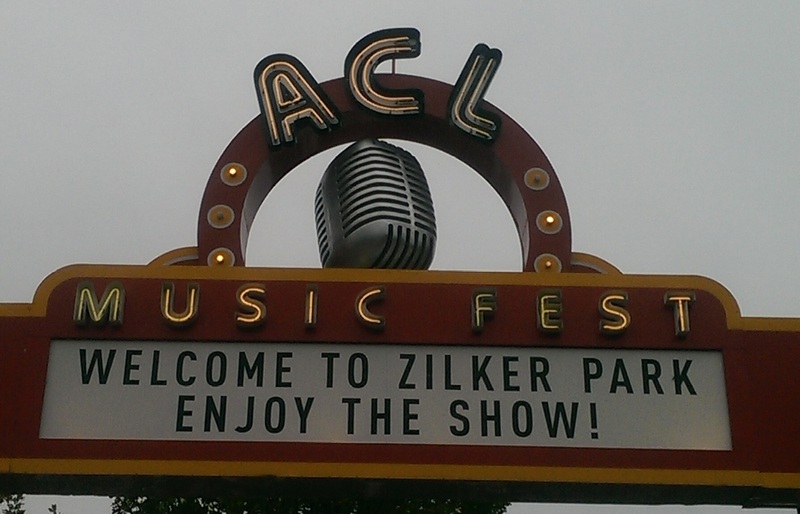 Rain or shine, Zilker Park was full of energy. With a diverse lineup, the festival was able to put on an event that boasted diversity and state-of-the-art technology. ACL was a melting pot of genres, ranging from the laid-back, casual, carefree and mellow reggae sounds of Rebelution, to the hypnotic and sensual waves of Phantogram. The festival offered symphonic treats for almost every type of ear and expanded just about everyone’s mind to music outside of their comfort zone. Childish Gambino, Outkast, Iggy Azalea and Eminem provided a well-balanced attractive force of hip-hop, while electronic DJs Major Lazer, Skrillex, Gramatik, Zedd and Calvin Harris painted the sky with dazzling light shows. Despite not being mentioned in the lineup, special guest Diplo made an appearance Saturday night playing alongside Major Lazer and walking atop the audience inside a gigantic plastic ball. This year’s festival succeeded in bringing together a little bit of everything from the world of music. With a diverse, engaging and broad lineup of artists, ACL was able to seek out some of the greatest names, new and old, and unite them in a single setting. Attendees enlightened themselves with music that not only existed within their own time and space but also those who came before them. The center of ACL’s second weekend.